what is stone slab polishing machine? stone slab polishing machine is a machine that can quickly complete the different processes of stone slab, polishing equipment.The type of stone slab polishing machine is more, it has polished and polished planar slab, arcboard, line, heterotype edge etc. The polishing and stone slab polishing machine is based on the different mechanical structure of the machine, which is a continuous automatic grinding machine, hand grinding machine and double head mill. The multi-position continuous automatic polishing and polishing mill is based on the number of grinding heads that are installed, and the six heads, 8 heads and 12 automatic continuous stone slab polishing machine. stone slab polishing machine There are classic fixed and low speed (non-variable frequency, coarse grinding, fine grinding disk torque, grinding force stability). Flexible replaceable size of two grinding disks, weight feet (abrasive disk pressure enough), suitable for the requirements of different construction process processes such as stone and floor. Automatic stone slab polishing machine of utand stone machinery use Humanization design: front electric lifting device. 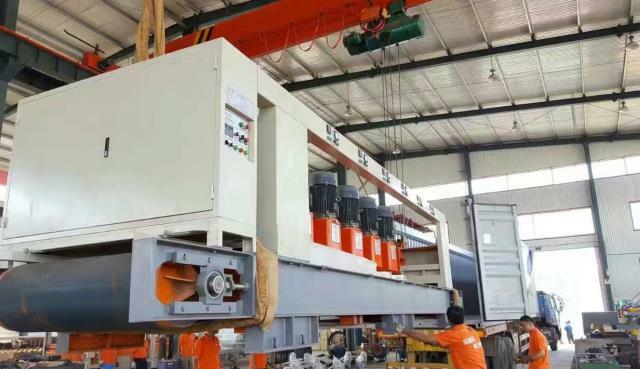 The rear vertical force machine is adjusted to make the grinding of each point of the mill on the ground, and the horizontal wear and tear of the mill plate. our automatic stone slab polishing machine cnc buffer damping device: between the output axis of rotation and mill is equipped with compression spring, mill grinding with larger snip or high and low not normally, the machine will be a hit from a large, at this time, the spring will have vibration and buffer, can keep the steady grinding machine, thus reducing the labor intensity of operation mechanic. The front electric lifting device is the most humanized, and can meet the pressure requirements of the grinding disc when different construction technology is adjusted. The rear vertical force machine is grinding and adjusting the equipment to ensure the horizontal wear and tear of the machine.utand stone slab polishing machine is High safety: 24V low voltage power supply for the starting, stopping and lifting of the system. Work motor overload, leakage protection device.